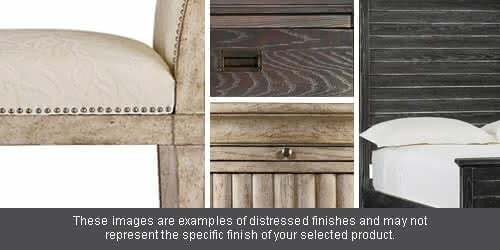 Grand Style Home Office Set by Coaster Furniture is a gorgeous set that will enrich the beauty of your home. This grand style home office set is sure to make a bold statement in any home office. It is crafted from selected veneers and hardwood solids, and has a beautiful cherry finish. The desk features seven drawers that are dove tailed and corner blocked for added durability. The upper drawers are felt lined and there are locking file drawers. The desk and credenza feature ball bearing glides, power strip, and drop front keyboard drawers. The credenza features task lighting and curved glass door fronts in the hutch. The matching file cabinet features a locking lower drawer, while the bookcase offers three shelves and a lower cabinet with doors. This traditional home office set is a stunning and elegant addition to any home! I love 1StopBedroom.com! It is my new go-to for home goods and furnishings. My purchase of this Office Set from the Pergola only cements this. Awesome. 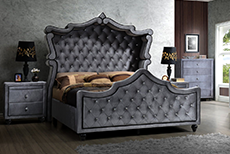 1StopBedroom has some of the best pieces for the price. I love value and this Office Set from the Pergola was no exception. I didn't just happen to select the Pergola Office Set. I researched. I compared. There just wasn't a nicer Office Set to be found anywhere. Very pleased. I would highly recommend this Office Set to anyone who is unsure about purchasing anything from the Pergola. Lovely piece and I am super picky about art and home dcor.